Donated by Mr. Scott Ross of CBN, the Scott Ross Cultural Collection comprises a rich selection of Christian music, commentary and celebrity interviews with Scott Ross as host. Some of the earliest items in the collection are approximately 500 audio tapes of Scott Ross' Christian radio program, "The Scott Ross Show," that began broadcasting in the early 1970s. Aimed at commercial radio stations, this pioneer weekly program offered contemporary Christian music, commentary, and a talk show segment. 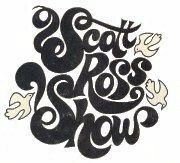 The "Scott Ross Show" grew to a syndication aired on 200 stations across the U.S., winning five Billboard awards. 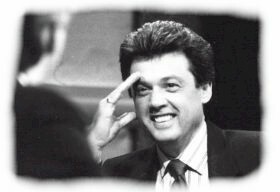 Celebrity interviews on videotape constitute a significant part of the Scott Ross Cultural Collection. 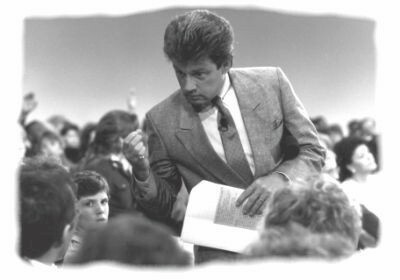 Hosted by Scott, these interviews were aired on the 700 Club under the auspices of CBN and the Family Channel. Celebrities include Alex Haley, Amy Grant, Andrae Crouch, Debby Boone, John Michael Talbot, Johnny Cash, James Brown, Michael Landon, Paul Stookey, Leon Patillo, Steven Spielberg, Reba McEntire, Sandi Patti, Ricky Skaggs and Willie Nelson, among others. One of Scott's most well-known interviews was with David Berkowitz, the Son of Sam, the infamous New York City serial killer captured August 15, 1977. David Berkowitz now proclaims Jesus Christ as his Lord and Savior. The collection includes some videos of Scott's daily talk show on the Family Channel, "Scott Ross Straight Talk." A recipient of five Angel Awards for excellence in television and nominated for two Ace Awards for his Straight Talk show, Scott has made it his business to go out into the streets to talk to the people. In so doing, he has garnered grass roots opinion about issues of the day and matters of faith. We find here a microcosm of American culture and opinion. Shows focus on the topics of Los Angeles crime, homelessness, drugs, people with AIDS, religious beliefs, and international news stories such as Israeli/Palestinian conflicts. The collection also includes a significant selection of Christian music on LP, audiocassette and CD dating from the 1970s to the present. A variety of Christian artists and record companies are represented. Of special interest is a selection of recordings by guitarist Phil Keaggy with whom Scott started the New Song record label in the 70s. Scott's wife, Nedra, is featured on a number of items, in particular the album, Courts of the King: the Music of Ted Sandquist. For a sampling of Christian music from the 70s visit the website: A Decade of Christian Music.